WordPress 4.9, Tipton is almost knocking at the door. We are hoping that it will be released in the third week of November 2017. 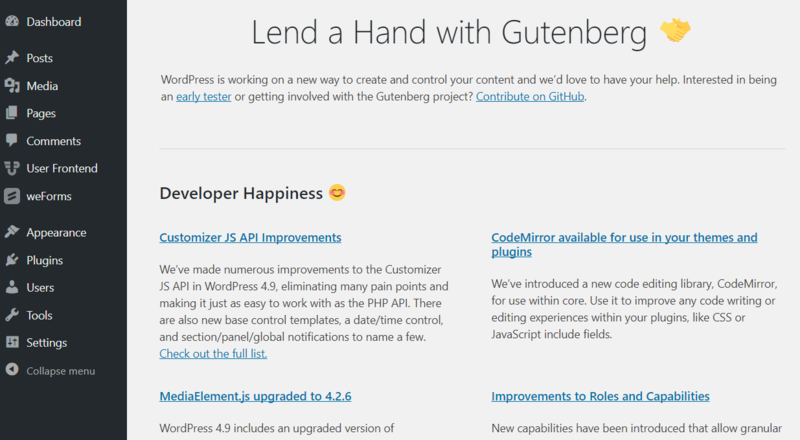 Having Gutenberg Editor in the queue, WordPress is getting bigger with every release. The 4.9 release does not have anything significant like Gutenberg. However, it has many new features, improvements, and tweaks. So, you may be wondering what WordPress 4.9 has to offer. We are going to show you our experience with the latest release while we tested the RC3 (Release Candidate 3). While upgrading to WordPress 4.9, we got this exciting welcome page. It has details on the whole update and what it brings. This update contains major customizer improvements, better code editing inside WordPress dashboard, improved widgets and lot other fixes. Without further ado, let's dive in! 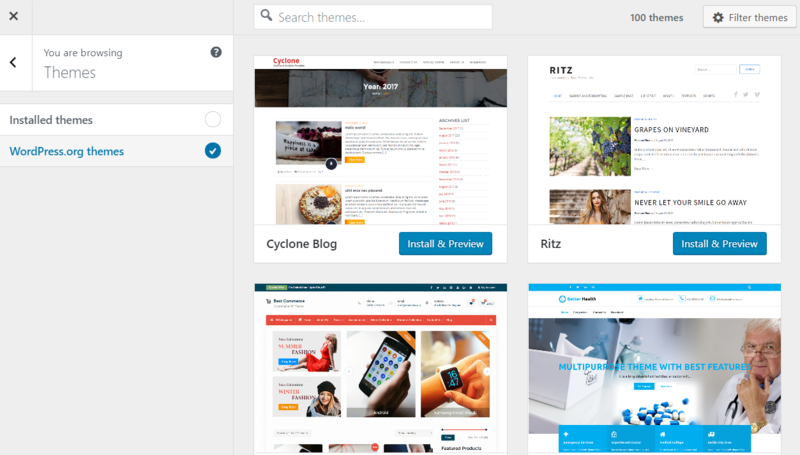 With the release of WordPress 4.9, the theme customizer menu has seen three new options added. Save: The newly save button lets you save your tweaks without publishing it first. This gives you time to finalize your design without going live. Schedule: There is also an added schedule option which lets you schedule your customized theme to go live. You will be able to select a specific time and date. Share: The newly added share button will let you share a final version of your website to anyone who you give the link to. This is really convenient for those who work in a group for the design. 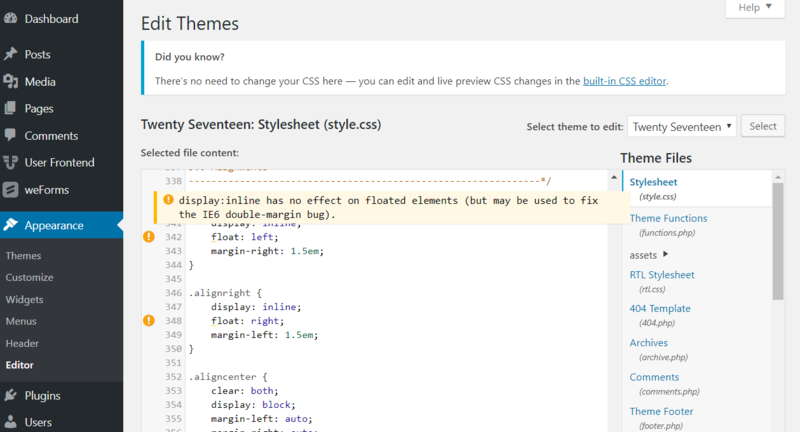 Theme management for WordPress is going to see some change with 4.9 release. 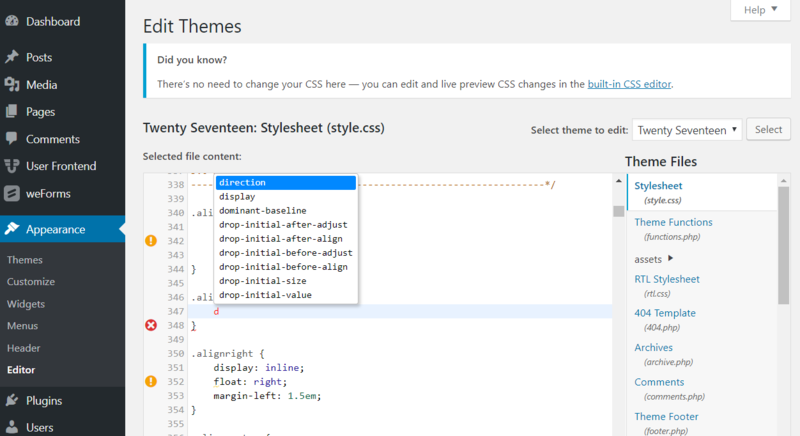 You can directly add themes to your WordPress site from the customizer page. You can view either Installed themes or WordPress.org themes from here. This saves a few clicks while also keeping the process simple. With 4.9, the menu creation process has been broken into parts and made a lot simpler. In the previous version, you could only see a box area for creating a menu. Now separate boxes have been added to menu name, menu location, top menu and social links menu. WordPress 4.9 allows you to have a new Gallery widget to manage it your way. Previously, you could get this from JetPack. Now, it will be available in the core version whether you are using Jetpack or not. With the introduction of image widget in WordPress 4.8, this new gallery widget in the 4.9 release will only add value to its essence. The functionality of gallery widget is as simple as it can get, just simply add images from your WordPress image library by using the Add Images button. You can also use this widget as a temporary way of making people intrigued on your social media platforms like Instagram and Pinterest by viewing thumbnails to create a collage of a single snapshot. So this new gallery widget feature in WordPress 4.9 will definitely create a lot of interest to more of your posts now. With the continuing process of Text Widget improvements throughout its previous version, it didn’t fail to improve in the WordPress 4.9. It was a real pain to create shortcodes on your own and to add images in the text widget till WordPress 4.8. But not anymore as now with WordPress 4.9, there is an additional Add Media button into the text widget. Which will give you the ultimate freedom of adding media files hassle-free. So all thanks to the newly added Add Media button, which now ensures you to create a gallery using text widget making the functionality of text widget utmost user-friendly. There wasn’t any clear way to understand whether you were actually successful in saving the changes you made in the widget to the previous version. But with WordPress 4.9, the button will now display Saved every time you make any changes to indicate that you are successful with your action. Guess what, now you can easily custom your codes directly from WordPress Dashboard. Although the code editor has been there for a long time, it was very basic. 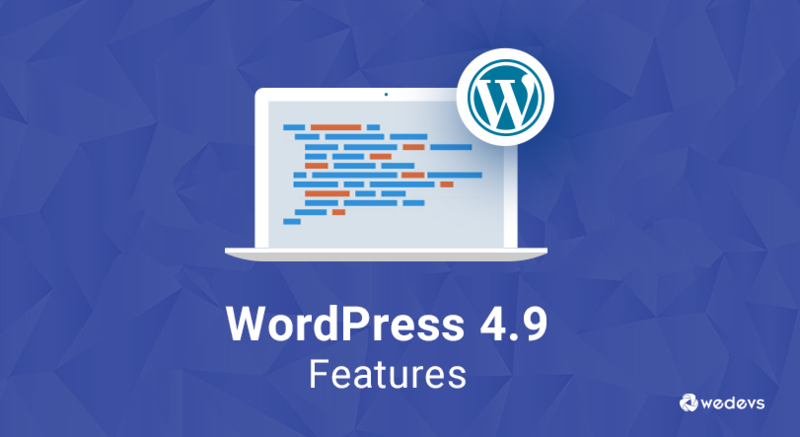 With WordPress 4.9, you will get a better editor containing many interesting features. When someone tries to edit any code (Plugins or Themes), they will receive a pop-up warning stating the significance of code editing and why it is not recommended. Unless you click on the ‘I Understand' button, you won't be able to proceed. The new code editor highlights syntax! You also get error or warning signs if you something out of the context. It even suggests related functions and attributes when you are typing a piece of code! 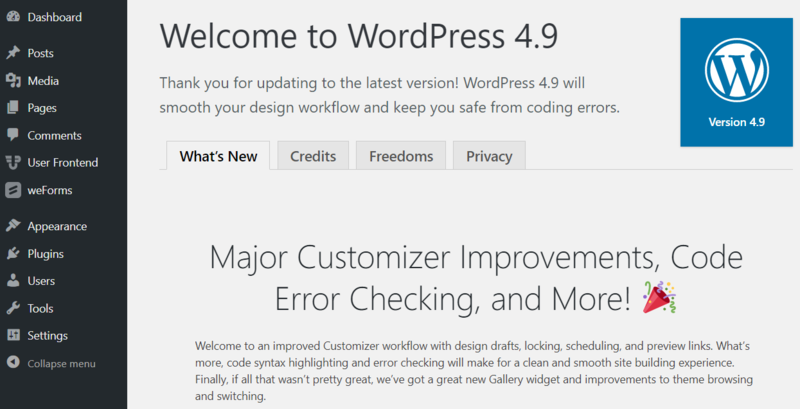 There are also some improvements to the core of WordPress in the 4.9. Here are the Developer Happiness features that have been included in this release. The bookmarklet that practically no one used, has been removed from the tools section. 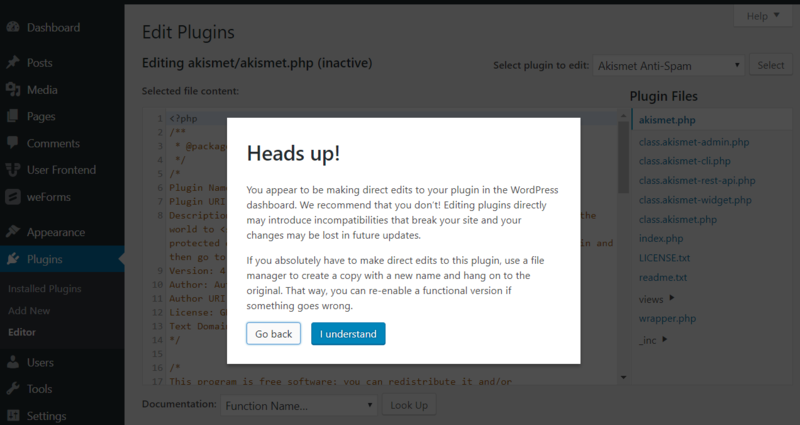 Now, it is a separate plugin that you can install anytime from wordpress.org. The library will be removed from the core. It was used for flash media services. As the industry is moving away from flash this was inevitable. Some Jetpack functionalities like The Gallery Widget and Syntax Highlighting features have been removed. They will now be supported in the Core. Tweaks have been made to the User Roles for a site. Now a permission has been added to who can activate/deactivate a plugin as well as who can change the language and translation file. Last but not the least the admin has now an option to send a confirmation email to a user who has changed his/her email address. This new email will be sent to the new one not the old. This is really helpful for e-commerce websites or any other site with direct subscribers. We Have Also Update All Our Plugins! As WordPress 4.9 is a major update, we have updated all our plugins including Dokan, weForms, WP Project Manager, WP User Frontend and WP ERP. They are all WP 4.9 compatible and you can use them without facing any problems at all. But we recommend you create a backup before upgrading. You might not know it but WordPress right now is powering a staggering 28% of the total number of websites in the world, including 14.7% of the top 100 websites. That is a lot of users, to begin with! Taking them out of their comfort zone and introducing a system that is completely new to them might be a very bright idea neither is the worst. The competition is advancing at a rate that was never seen before. WordPress needs to keep up too if it hopes to keep the lead it has now. All the talks about Gutenberg and other features are only speculation at best for this moment. This new version I must say, is great indeed. I am thrilled on the concept of email confirmation for users who changes their email which is a good idea for e-commerce users. But I will like to know, does it send email confirmation for newly registered members of ecommerce like woo, as woocommerce doesn’t have such feature of email confirmation. New editor is absolute garbage. So frustrating and hardly ever works.